इन सभी confuse करने वाले शब्दों कि कई सारी categories हैं जैसे कि Homonyms, Homophone, Homographs, etc. Well, today we’ll discuss homophones. Today I’ll try to help you get rid of the confusion and explain the differences and usage of these homophones. यह एक noun यानी संज्ञा है जिसका अर्थ है ‘a formal religious act/ceremony’ or ‘a social custom/practice’. • Their marriage rites were performed beautifully. • The voodoo princess needed some weird things to perform the rite. • These days, the old rites are not so popular with the new generation. It’s a ceremony or event marking an important stage in someone’s life, especially birth, the transition from childhood to adulthood, marriage, and death. • It’s time that we all start respecting the equal rights of women. • She seated me on her right side. • She had every right to be angry. • Demonetization proved to be an important step towards righting the country’s economy. • I set the clock to the right time. • I hope you are doing the right thing. • These days, women right throughout the country feel unsafe. • I’ll be right back. I hope the confusion got cleared. 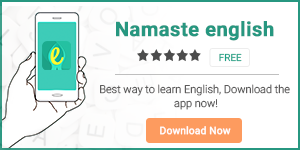 इसी तरह आसान तरीकों से अंग्रेजी सिखने के लिए download करें हमारी apps HinKhoj and Namaste English.